Whether for public service or as a challenge worth attacking, transmitting information across ever greater distances is what drove members of the Relay League to organize. The thrill of wireless communication was reinforced with each additional mile covered, even as signals became weaker. Relaying was an obvious way to extend range beyond the capability of one pair of stations in direct contact, and it required more than just knowing who was located where. First, to make two-way contacts a little less random, hams should maintain regular hours for listening and make their presence known by transmitting a simple QST with their location and QRU (indicating readiness to receive messages). … his transmitting power, what kind of a spark gap he has, how far he can send, the number of words per minute he can receive, his usual listening in time, what kind of a license he holds from the Government, and whether or not he has a telephone near at hand for delivering or receiving local messages. Fourth on the blueprint list was to join the League, which was free. One only needed to fill in an application form and attest to having a working station capable of receiving “a message” (no mention of transmitting). Once again, applicants were “asked” to obtain the List of Stations and the license certificate. After name and address, the next most important piece of information on the two-page application form was the length and height of your aerial and the number of wires it had. Then came a section on “sending equipment” characteristics, in which it asked, “What tone has your spark?” with a single blank next to the question. It was well understood that this referred to the dominant tone of your signal, normally determined by the frequency with which sparks were made. You were then asked to name the five most distant stations you had communicated with and their distances. On the second page of the form was a space for listing your receiving equipment, with six lines devoted to a free form description followed by various other questions about your station and your own personal capabilities. Finally, just before the signature, the form asked you to affirm that, “I HEREBY OFFER TO RELAY OR DELIVER ANY AMATEUR RADIO MESSAGES THAT ARE SENT TO ME”. The fifth and final item in the blueprint was to obtain a special license from the government so you could operate on 425 meters. These were available to operators who held a first grade commercial license and who were also recommended by the League. You could get a recommendation if you were located sufficiently far from the seacoast so as to not interfere with commercial and naval stations, and could successfully argue why you needed to use 425 meters to relay messages. Typical reasons had to do with the longer wavelength being capable of greater distances than on 200 meters and having a need for the increased range because of the remoteness of your station. You would apply to the League, which would recommend you to the District Radio Inspector who then would send it to Washington where the Bureau of Navigation would take action. 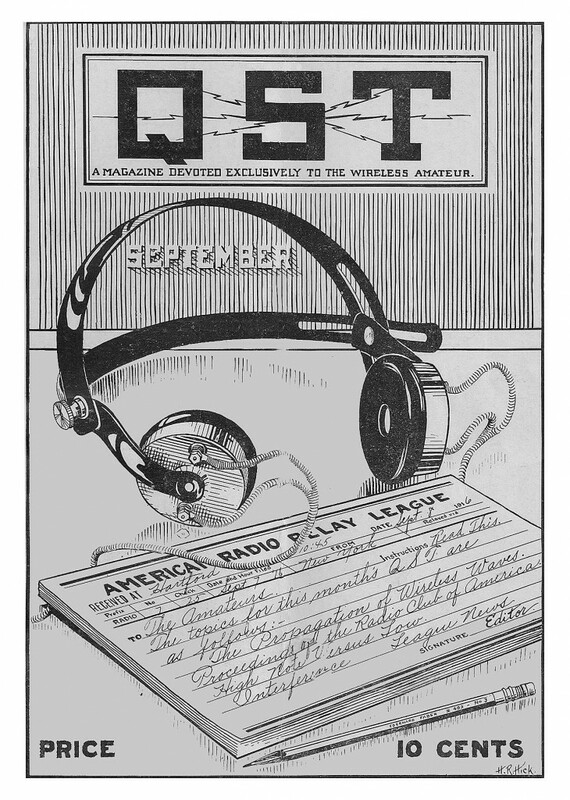 The ARRL had already established a close relationship with the government, which considered League credible enough to provide this vetting process for special licenses implied in the 1912 law, but not prescribed in detail. The blueprint was meant to increase “reliability and celerity”—celerity meaning swiftness or speed—of the relay process.3 QST pointedly referred to amateur stations as relay stations to emphasize their special nature and participation in organized activity. The items of equipment in such stations were called instruments.